I love your new rolling pin - fabulous stuff - just the sort of thing I always hope to find but never do. Hi Liz, I was going to buy an old rolling pin at that store, and already had it in my hands then I found this one and just couldn't part with it. I don't come across those kind of things too often either. What a cute rolling pin! And well done improvising with the bottle of wine! And of course after using it, you needed to drink it no? ;) The cheese bread looks divine! I love this Marina! You have inspired me now. I want to make something like this soon. I had the same once about my rolling pin. It is a must have gadget. I had to use a bottle of wine.. it is not the same though! Did you really pay only 69 cents for that rolling pin? When was it made? I would have substitute a wine bottle too. That looks wonderful! And I love this old rolling pin. I use a drinking glass that works for me! lol Enjoy your day and your delicious bread! What a gorgeous filled loaf, Marina! And now you have a spare rolling pin...what a deal!!! Thanks Lizzy! This bread means a lot to me as it took me some time to re-create my grandmother's recipe. Keeping my family tradition alive, I bake this bread on Saturdays. 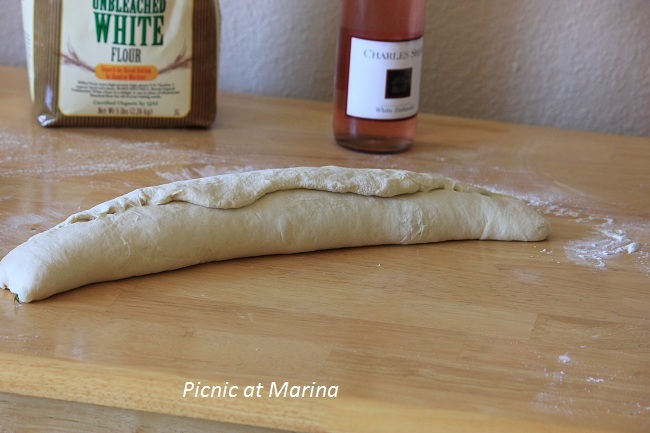 Whatever tool or object you have rolled it with, your bread looks perfect. The stuffing sounds fabulous too. 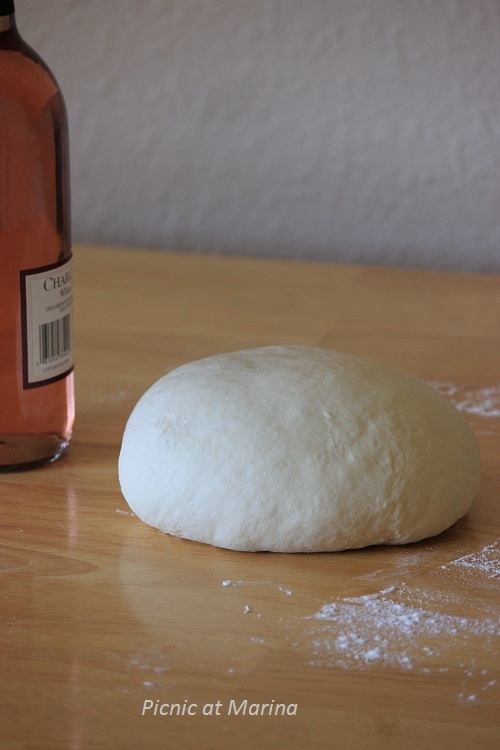 I have once rolled pastry with an empty bottle, but I see I was wrong: a full bottle can have a double use and be a great company for such a beautiful bread. Hi Marina, you moved places and I moved my blog, its the same thing and we loose some of our things in moving. 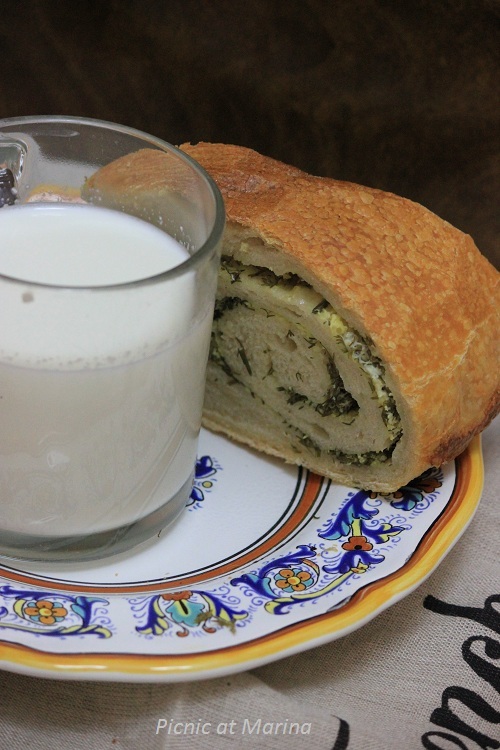 The bread looks wonderful with spinach(or is it herb) filling. 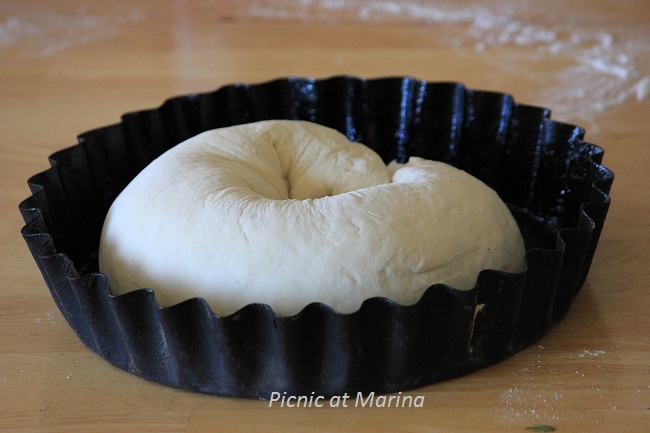 Marina your "sdoba" looks always so good, you are a "dough ferry" in my eyes. I would use a bottle of also to replace a rolling pin. Very simple and perfect recipe, as usual! I hate losing things in the move. I'm still looking for things 2 years later. I know we moved it but I can't remember where I decided it should live. This bread looks crunchy on the outside and soft and cheesy on the inside. Just the way I like it! Thryin to unpack is really a mess! 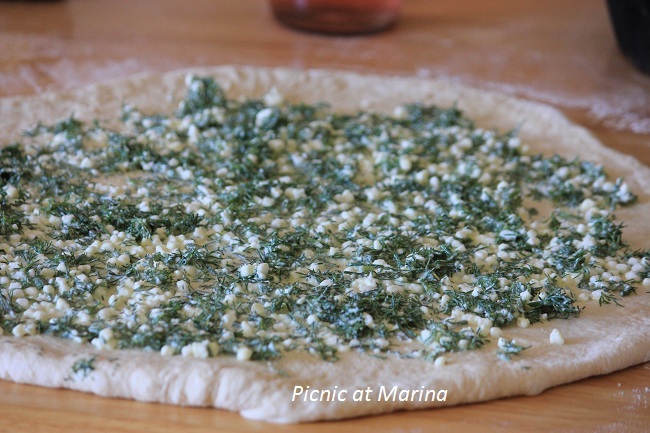 The bread looks perfect Marina and the pics made me hungry! I do like the sound of this bread. This bread looks amazing. What is that you put in the middle? I so want to know that. It looks like either garlic or cheese and what herb is that? I had my move to word press this week and I want to let you know that your comment along with a few others got deleted by mistake. No need to comment again but I didn't want you to think that I did not approve your comment. Things always get lost or broken in blog transitions. I wish I had made the move a year ago when I started my blog, Oh well! Thank you Jackie! 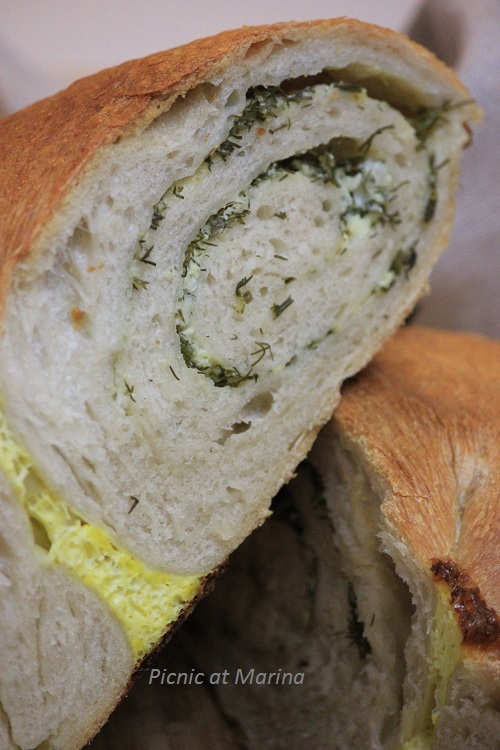 That in the middle of this bread is a mix of cottage (or farmer, or ricotta) cheese, egg, and dill, both fresh and dry. Things always get lost in any move, I completely understand. No worries. How do you like your new blog platform? I hear different opinions about word press. We've got at least 3 rolling pins, so even when we misplace one when we move (and we always do), there's always one that's in a properly labeled box! Nice bread. Good looking filling there. ;-) Good stuff - thanks. Hi John, there's never too many things in a working kitchen (where people actually cook, not just store food in the oven). I guess, I'll follow you and get another rolling pin, this time for pasta. Well, I found it in a thrift/vintage store. Was glad I did. :) Thanks for your comment! 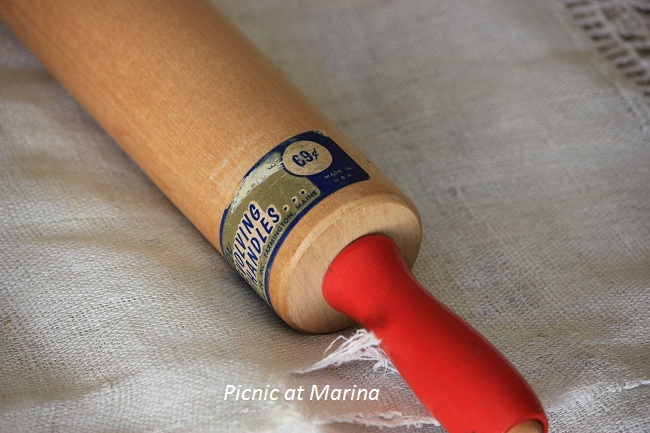 Marina, I love your bread AND your fun new rolling pin! 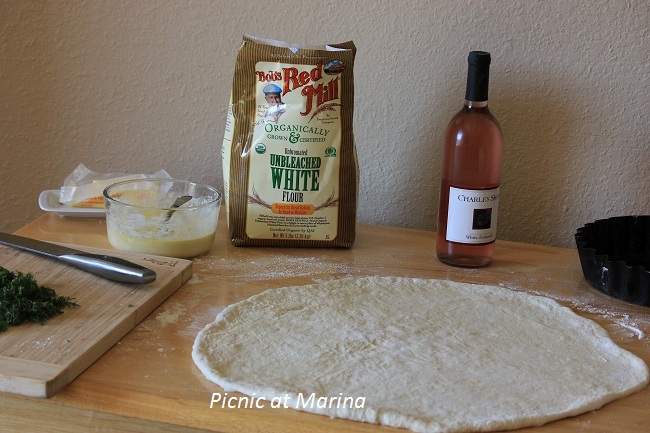 We went on vacation last summer and I forgot my rolling pin, I love my new one that I just HAD to buy! :) The bread is beautiful!